HONOR, a leading smartphone e-brand, achieved 170% growth globally, bucking the industry trend of a decline in global smartphone shipments. 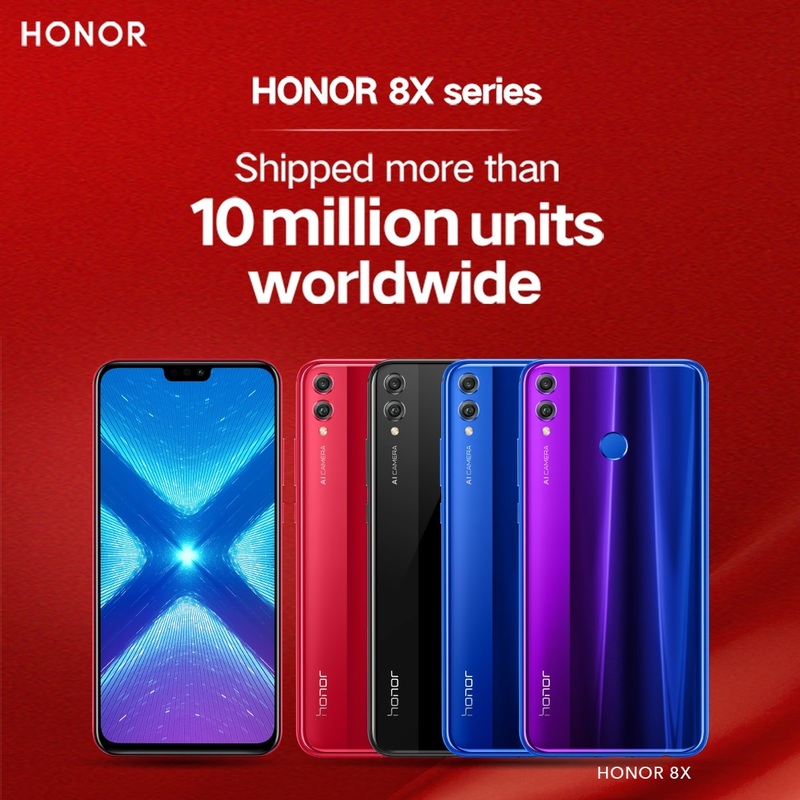 The remarkable sales performance was underpinned by a milestone 10 million plus units shipped globally for HONOR 8X since its launch last October and over 1.5 million shipments for HONOR View 20, which was launched globally in January. Latest figures from the International Data Corporation (IDC) reveal that smartphone shipments worldwide are on a downward trend and the Gulf Cooperation Council (GCC) market, in particular, has shrunk significantly in 2018. Saudi Arabia, the biggest market in the GCC with a 54 percent share of the region’s mobile phone shipments has also been affected, however, the most significant change in the Saudi smartphone landscape in 2018 was the growth of HONOR sales, while the brands that have historically been on top, lost market share in comparison. The Saudi market’s performance was broadly in line with the overall trend of the wider GCC region. Consecutively, based on the GFK report, HONOR earned the 4th spot in Saudi Arabia and witnessed an increase of 230 percent market share in 2018. The amazing device Honor 8X was launched in Pakistan on 3rd October 2018 at a star-studded event at Dolmen Mall, Clifton. The event featured with the Ambassadors for Honor 8X. The superstar Mehwish and renowned fitness enthusiast & entrepreneur Nustat Hidayatullah and Pakistani YouTuber, Irfan Junejo and nonetheless the Youth Ambassador & One of the Biggest Musician; Asim Azhar. The amazing Honor 8X attracted the hearts of everyone in Pakistan with its beautiful looks and outstanding features. The spectacular performance of this smartphone made the device a perfect companion. “HONOR spares no efforts to stay at the forefront of technology with quality and innovation at the center of HONOR’s business strategy. We have traditionally designated 10 percent of our sales revenue to R&D every year to underscore our continued efforts to advance our technologies over time.”, said Chris. According to the latest data from Sino Market Research, a leading market research institute in China, HONOR has surpassed all industry players through 2018, in terms of both sales volume and revenue, with shipment volume at almost 55 million, and sales revenue at CNY79 billion (over US$12 billion). HONOR’s continued efforts to push the envelope, endeavoring to offer maximum flagship features at an affordable cost form the core of the brand’s success story in the industry. The popularity of HONOR in the GCC comes as a ray of hope for the region and may revive global demand for smartphones. HONOR smartphones equipped with a top-end configuration, impressive color sets, and a high-quality performance represents a stunning leap forward in technology and design aesthetics for the brand.